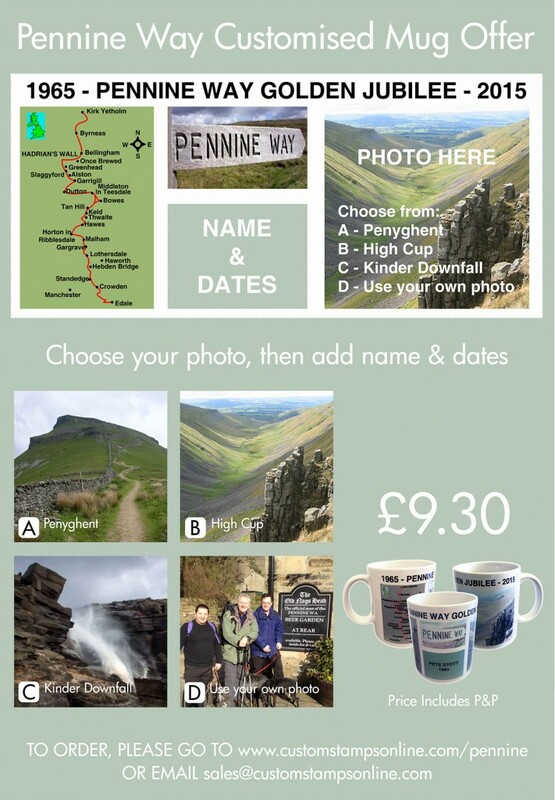 As part of the Pennine Way’s Golden Jubilee we are offering customised mugs that allow you to choose an image of either Pen-Y-Ghent, High Cup, Kinder Downfall or you can upload your own image. You can also enter your name and a date onto the mug to personalise it. Please see the image below for full details, or visit http://www.customstampsonline.com/pennine to order now!